In our full review of the Echo Spot, we covered all the features that make it great. Complimenting the device on it’s unique design, quality speaker, and everything else you can get out of of Amazon’s virtual assistant Alexa. But the one thing we kept coming back to was how it made the perfect smart alarm clock. Amazon clearly understood this and created a number of clock faces for you to choose from in the display settings. They vary from retro analog clocks to modern digital ones. 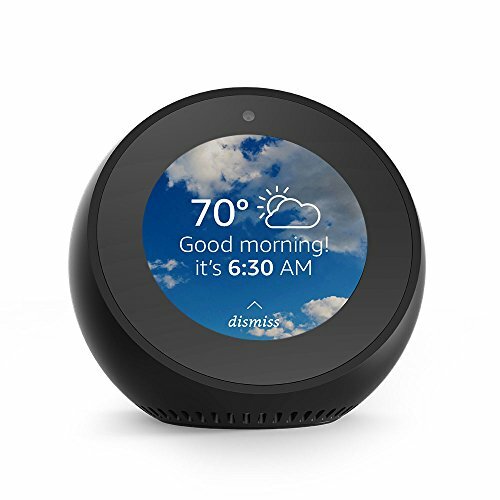 We’ve compiled all the clock faces for the Echo Spot below. Amazon is constantly adding new ones and we will do our best to keep the choices updated as the are released. To get even more out of this device, you can also seek out some of the many Echo Spot accessories on the market.